With summer around the corner many people look for the perfect nail varnish for their holidays that will last without chiping. 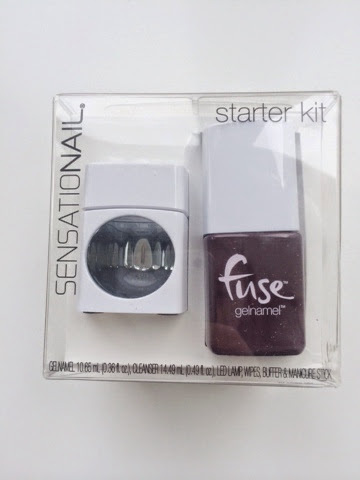 When I received an email asking if I'd like to review fuse nails I couldn't refuse. 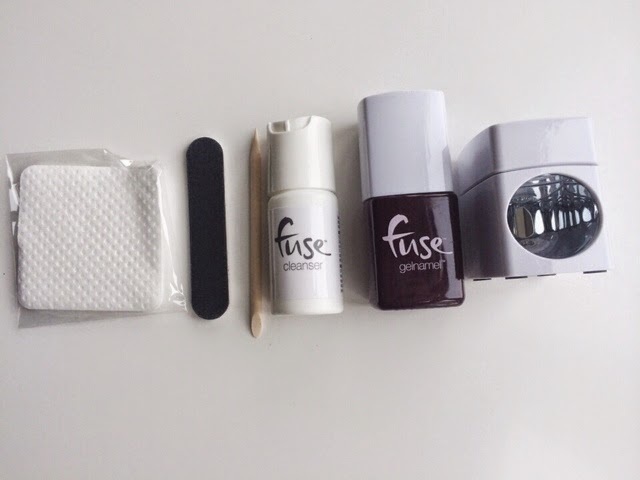 The starter kit comes with one nail varnish, LED lamp, cleanser, wipes and a nail buffer. This is supposed to be an all in one with only one coat being needed and only taking 30 seconds to dry. The starter kit is priced at £35 and each individual nail varnish is priced at £15 and are available to purchase in boots. I'm yet to have used this yet but I'll keep you updated on my thoughts.